As parents, we know that as lovely as the summer holidays are, they can be extremely tiring. That’s why this summer, we’ve partnered with Picturehouse Cinemas to give bubble users exclusive 2 for 1 cinema tickets to any Mon – Thurs showing. You can get your 2 for 1 code here. Christopher Nolan is synonymous with complex plots. Films such as Memento and Inception, as amazing as they are, require multiple viewings to fully grasp what the heck is going on. Dunkirk, however, is different. You don’t need to exercise enormous brainpower to peel layer after layer of intricate plot twists. Its premise is simple. Dunkirk is the true story of roughly 400,000 men. Men that found themselves stranded on the shore of Dunkirk, France, with seemingly no escape from Nazis closing in on them. Unlike most war films, there’s no focus on the political arena at the time, nor are there any shots of distressed families back home. Nolan’s Dunkirk is, in its entirety, a depiction of the seemingly abandoned soldiers and their inevitable end. The plot is simple; the awe-inspiring cinematography isn’t. Nolan is obsessed with IMAX 70mm film. And, of course, seeing Dunkirk at an IMAX cinema is an absolute feast for the senses. But, seeing it at a local cinema doesn’t do the film any injustice – it’s just as exciting, harrowing, and emotional. 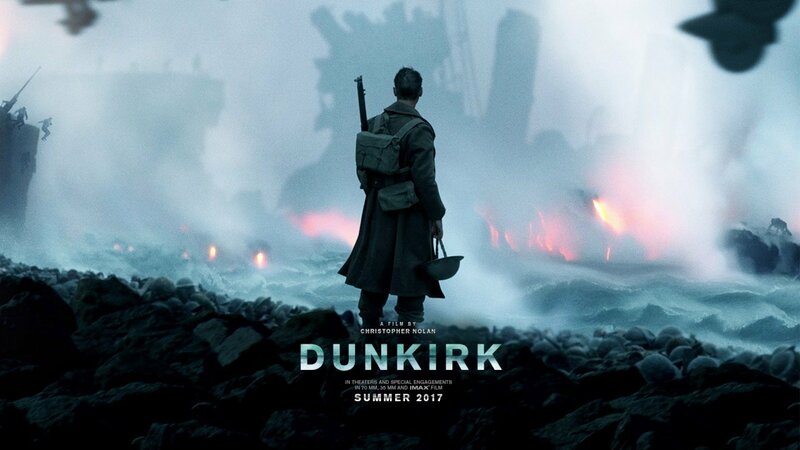 Whether it’s The Spitfire’s dogfight above the ocean, or the many spellbinding explosions on the beach, Dunkirk will be the most immersive and realistic war film you have ever seen. It’s an entirely British film, with an entirely American blockbuster budget. Yes, the hyper-realistic action is incredible. But, for us, the film’s real stand-out moments are those that have no action whatsoever. Moments that depict the vulnerability of the incredibly young soldiers; moments where you cannot help but become absorbed in their desperate cling to hope. The feeling of isolation, despair, and fear that those soldiers felt can never be truly conveyed, but Nolan does the most incredible job in attempting to capture it on film. Dunkirk is a nail-biting, emotional rollercoaster. It’s Nolan at his finest, and one of the best war films to date. So if you haven’t done so already, get your 2 for 1 code and go see it. And remember, we’ve got you covered in the babysitting department. Book a sitter now.